A simple application to download free ebooks from Project Gutenberg website. There are tons of free domain books that you can download there, completely legally. 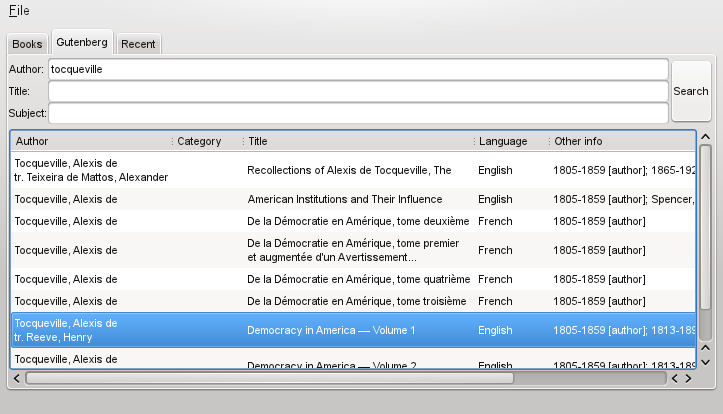 Saved ebooks can be subsequently read with FBReader (separate application) or with any other good ebook reader application (CoolReader, for example). 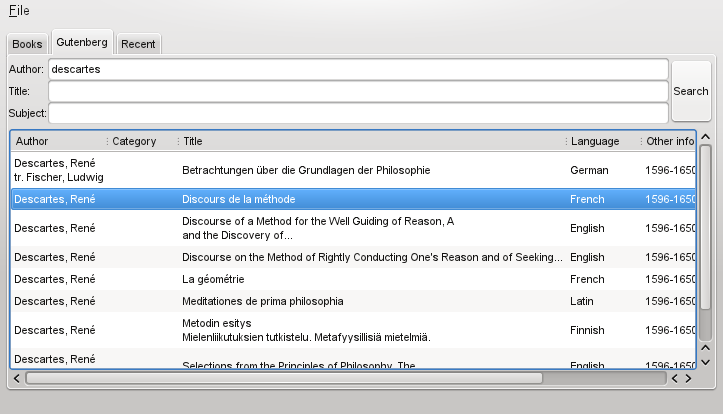 Books are saved in the appdata of the PND. Build History: #2 from May 13: Resized windows by default to avoid moving windows around on Pandora. Removed useless menus. I tried searching for War and Peace, by Leo Tolstoy, but for some reason it didn't show up in the listings. Is this a bug or am I stupid? 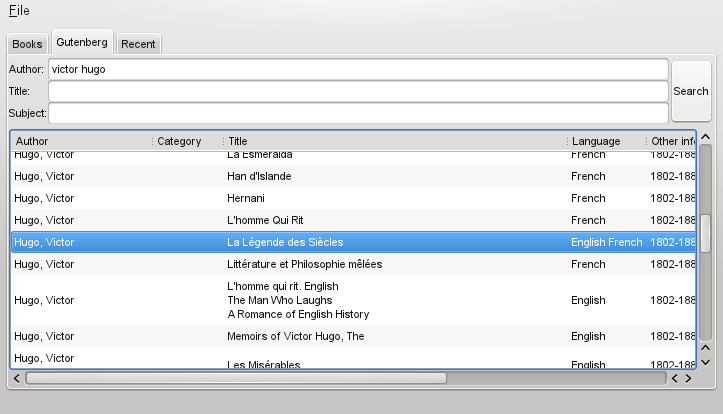 Is it possible to make it show all the books with a blank search ?